AC Milan striker Gonzalo Higuain is getting more backlash for his poor conduct when Milan clashed with Juventus in the Serie A. The former Real Madrid man enjoyed an impressive run whilst at Juventus but had to loan out to Milan to make space for the arrival of Cristiano Ronaldo. Higuain shrugged off a back injury to feature in the game against Juve. It was likely his intention to score against them as possible retribution for his exit, looking at it from hindsight. The player suffered a meltdown in the game as Milan barely threatened Juve, and him missing a penalty in the first half. Juventus won the game 2-0, with Ronaldo scoring his eighth of the season after 12 league games – making him the second highest goalscorer in the league. The game was much tensed as both sides wanted to get the better of each other. Milan were hoping to stop the seven time champions at the San Siro. However after eight minutes the reigning champs were up courtesy of a Mario Mandzukic header. Higuain, who scored 16 times in the league for Juventus last season, missed his chance to help Milan draw level. The Argentine has his spot kick saved by the goalkeeper Wojciech Szczesny, who replaced Gianluigi Buffon. After the game, Higuain admitted that had he scored, the game would not have remained the same. Ronaldo scored after the 80 minute mark, and the frustrated Higuain tackled Medhi Benatia dangerously. His verbal abuse at the referee earned him another yellow card, instantly ending his participation in the duel. Several people have put the player on blast for his actions, including AC Milan fans. Italy interior minister Matteo Salvini added that he was “ashamed” of the player’s behaviour. Salvini, who was at a meeting with Italy’s Referees Association president Marcello Nicchi after an attack on a young referee in an amateur game, said he hoped Higuain gets a “very long suspension.” Salvini added that if the risk were up to five years suspension then players would be more careful. AC Milan are set to appeal the two game match ban handed to Higuain. The player has scored five goals already and has played a huge impact in Milan’s achievements in the league so far. 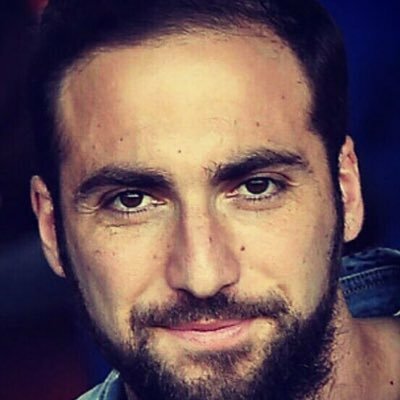 Higuain has apologized for his behaviour in the game, adding that he was not content with the decision of the referee to ignore a possible red card for Benatia.